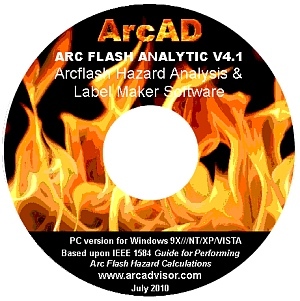 ARCAD in Etobicoke, Ont., has released a set of new Arc-Flash-Analytic video tutorials, providing "a quick and easy method to learn a variety of Arc-Flash-Analytic features and capabilities." The set includes eight video tutorials starting from how to install and register the program, to more advanced functions like how to save projects, switch units of measurement, customize arc flash warning label layout and perform arc flash hazard analysis using Arc-Flash-Analytic’s IEEE 1584 empirical model, fuse equations and low-voltage circuit breaker equations calculation modes. ARCAD specializes in creating safer working environments for individuals who service electrical systems by providing online and PC-based software tools for short circuit and arc-flash hazard analysis.